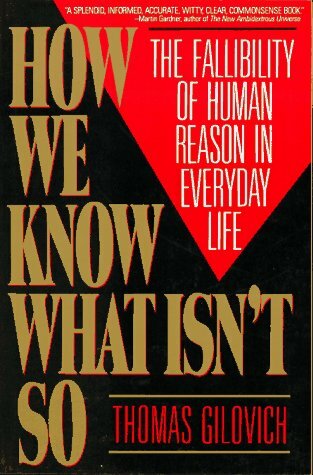 This text begins with a discussion of how the interactions between our left and right hemispheres can raise philosophical concerns and question the idea of free will. We then discuss split-brain patients and the implications that dual-personality phenomenon have for those who stand by a soul-orientated theory of spirituality. 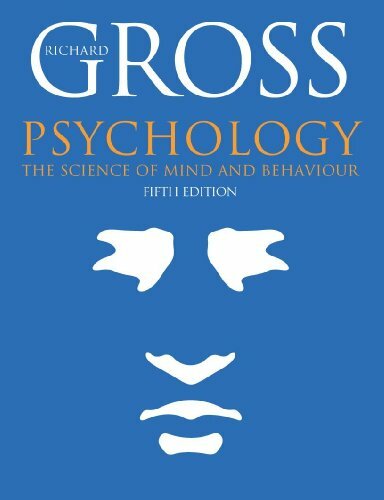 Psychologists R.W. Sperry and R.E. Myers conducted the most famous split-brain studies in 1953, and it was largely these that earned Sperry his Nobel Prize in 1981. In one series of experiments with cats, they cut the corpus calloseum and trained each half of cat's brains to react differently from each other. After investigations and experiments "Sperry and Myers concluded that the cat now had two 'minds' either of which was capable of learning on its own - and of responding intelligently to changes in the world around it on its own. Subsequent experiments with rats and monkeys gave similar results"4. Evidence from Humans with disorders or brain damage confirms that similar things happen with Humans. In short, there is the potential that our brain contains two minds, one in the left hemisphere and one in the right, with the corpus calloseum serving as the joint between them, the result of which is that only one side controls our movements through the cerebellum. Sometimes, the differences in style and character of Left and Right personalities can result in 'rogue' limbs, or cases where the hemispheres no longer co-ordinate control of the limbs, and 'arguments' can ensue between the left and right. The psychologist, R. Sperry, mentioned above, "showed a male patient a complex design and then asked the main to reproduce the pattern by putting colored blocks together. When the patient used his left hand (right hemisphere), he completed the task rapidly. But when the man tried to match the design using his right hand (left hemisphere), he proceeded slowly, clumsily, and made many mistakes. And much to the annoyance of both Sperry and the patient, the man's left hand often tried to "correct" the mistakes the right hand made". This is just one example amongst many. Split-brain studies show that in some situations, it is clear that our brain can contain two minds, two personalities, "two separate spheres of consciousness". Cases of multiple-personality can also result in very different personalities existing in the same brain. And some more extreme conclusions can be drawn: it is possible that all people have two consciousnesses but that each is only aware of itself. I will, however, only discuss here the fact that sometimes, the same brain contains two minds. This clearly has implications for studies of souls. If 'souls' exist, it must be true that a soul can encompass two consciousnesses, with two different personalities, memories and skills. And if souls survive bodily death... which consciousness is it that survives? In Christian mythology, a bodily resurrection will occur, and the saved will ascend to heaven... in the case of split-brain patients, how are two separate consciousnesses reborn in the same heavenly body, which cannot contain the same biopsychical dysfunctions as the imperfect Earthly body did? It makes a nonsense of the simplistic theologies of the afterlife if we hold that 'souls' survive death, given the evidence of split-brain cases. This doesn't show that souls don't exist, merely that popular opinions about souls simply cannot account for all the possibilities that the biology of consciousness provides. It is probably closer to the truth, and certainly a correct implementation of occam's razor, to conclude that consciousness is a result of purely biological factors, and that no such things as 'souls' exist, rather than try to reconcile them with split-brain and multiple-personality studies. If this is possible, how come split brain patients don't become debilitated by the confusing contradictions arising in their hemispheres? Well this brings us to some other oddities of our conscious life: we constantly patch over irregularities in our perceptions of the world, and much of our justifications for our own actions are derived from our actions, and do not precede them. “The lure of certainty is built into the brain at a very basic level. This is most poignantly demonstrated by split-brain patient [experiments]. The patient is then shown various images and asked to pick out the one that is most closely associated with what he or she has just seen. In a tragicomic display of indecisiveness, the split-brain patient's hands point to two different objects. The right hand points to a chicken (this matches the chicken claw that the left hemisphere witnessed), while the left hand points to a shovel (the right hemisphere wants to shovel the snow). The conflicting reactions of the patient reveals the inner contradictions of each of us. The same brain has come up with two very different answers. Some similar subconscious excuses arise when people are hypnotised into doing something and then asked why they done it. The reasons they invent are imaginative and fluent, and genuinely rational, except for the simple fact that the person saying them doesn't even know that the reason isn't true. See The Illusion of Choice: Free Will and Determinism for some examples. Our brains trick us into a false sense that we are a single, coherent and conscious being. It's not quite that simple! Emotions Are Biological: How Biochemistry and Neurology Account for FeelingsThe Limbic System: The Source of Emotions in the Human BrainSouls do not Exist: Evidence from Science & Philosophy Against Mind-Body DualismQuantum Physics Pseudo-scientific Theory of SoulSplit Brain Studies: One Mind per HemispherePseudoscience and Health: The World of Alternatives (to Truth)Out of Body Experiences (OBEs): Astral Projection or Soul Travelling?The False and Conflicting Experiences of Mankind: How Other Peoples' Experience Contradict Our Own BeliefsWhat Do Religions Say About Souls? (1999) "The Illusion of Choice: Free Will and Determinism" (1999). Accessed 2019 Jan 13. (1996) Kinds of Minds. Science Masters Edition. A hardback book. (2009) The Decisive Moment: How the Brain Makes Up Its Mind. Published by Canongate Books, Edinburgh. A hardback book. (2004) Emotions and Mind. Published by The Open University, Milton Keynes, UK. A neurology textbook by Frederick Toates, Bundy Mackintosh and Daniel Nettle.